Contact me via comment box toward the end of this post if you are interested in buying this modem. Payment: I will accept payment via BACS only. Sorry, no Paypal. Delivery: Free delivery in the mainland UK via Royal mail standard delivery. If you wish next day delivery then there will be extra cost. Condition: Completely new, rarely used. I used it only for few months before safekeeping. No scratches. 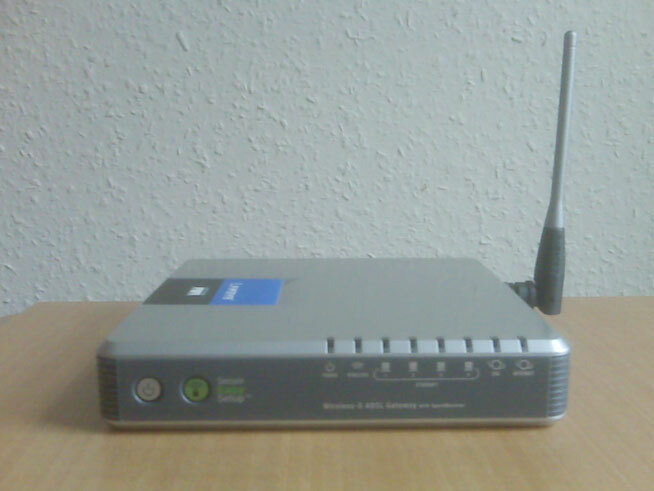 I bought this Linksys WAG54GS Wireless-G ADSL Modem in 2007 as a backup. I rarely used it as most of the ISP provided their own free modems. As I’ve collected quite a few modems and routers I decided to sell this. Linksys Modems are the best in the world. I’ve been using Linksys since long time and never had any trouble with any of the moedems/routers I’ve used. My house is quite big and when I used Linksys WAG54GS for wireless Internet it provided fantastic coverage. I could access Internet at least 20 meters away on the other side of the house. This modem is all-in-one solution for home and small office Internet connectivity. It gives you one of the fastest Internet connection. No need for any dial up just connect your computers/laptops to the Gateway via the built-in 4-port 10/100 Ethernet Switch and you are live on the Internet. You can easily share , printers, hard drive space and other resources. You can Attach up to 4 PCs/Laptops directly to the modem, or connect more hubs and switches to create as big a network as you need. Linksys WAG54GS has built-in Wireless-G (802.11g) Access Point which allows you to connect up to 32 wireless devices without any need of messy cables. Any other standard Wireless-G (802.11g) modem gives 54Mbps. Linksys WAG54GS with SpeedBooster technology, the ‘real-world’ wireless network performance increases by up to 35%! 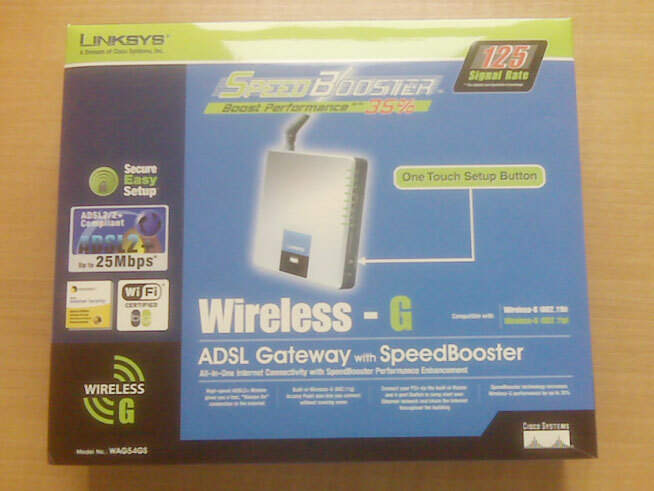 This modem is also compatible with Wireless-B (802.11b) devices, at 11Mbps. Linksys WAG54GS can be configured as Router which allows your home/small office network to share high-speed Internet connection. Linksys WAG54GS is very easy to configure. Just push the button on the Gateway and on your other Secure Easy Setup-enabled wireless device to automatically create an encryption-secured wireless connection. Wi-Fi Protected Access (WPA) protects your data and privacy with up to 128-bit industrial-strength encryption and 802.1x authentication and authorization. The Gateway also has a powerful SPI firewall to protect your PCs against intruders and most known Internet attacks, and supports VPN pass-through. Configuration is a snap with the web browser-based configuration utility. With the Linksys Wireless-G ADSL Gateway with SpeedBooster at the heart of your network, you’re connected to the future. Setting up Linksys WAG54GS could have not been easier. 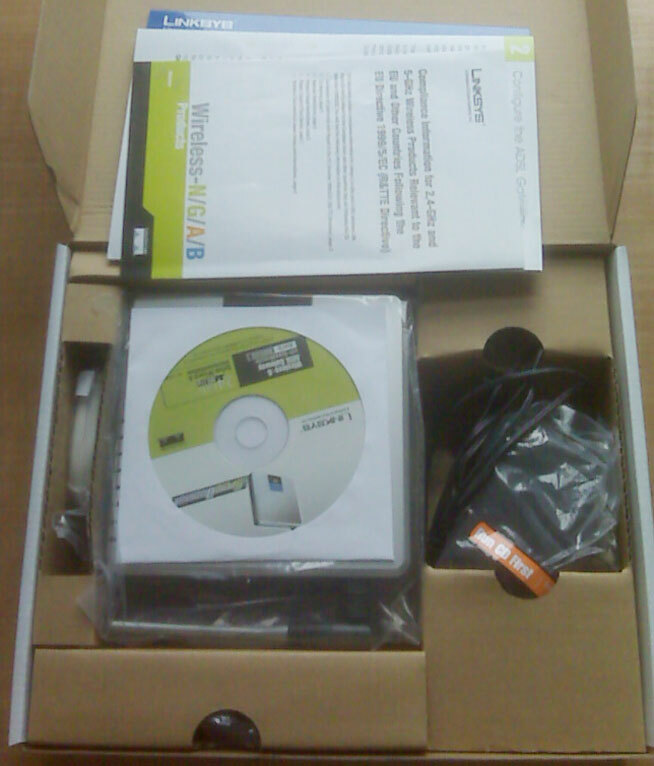 Just insert the CD and it will provide you step by step cof configuration. Linksys WAG54GS comes with special SpeedBooster technology which increases the router’s speedby up to 35%. This is the tecnnical information for the Linksys WAG54GS. « Error 330 (net::ERR_CONTENT_DECODING_FAILED): Unknown error. I’ve BT broadband and my BT hub doesn’t work too well. My BT broadband hub is on ground floor and I’m having difficulty in accessing wireless upstairs. Connection often drops. I was thiking to change the Modem and wondering if Linksys WAG54GS will work well in my house? Any thought on it? I’m ready to pay for next day delivery, let me know how much for it. Also let me know your bank account details so that we can close the deal. 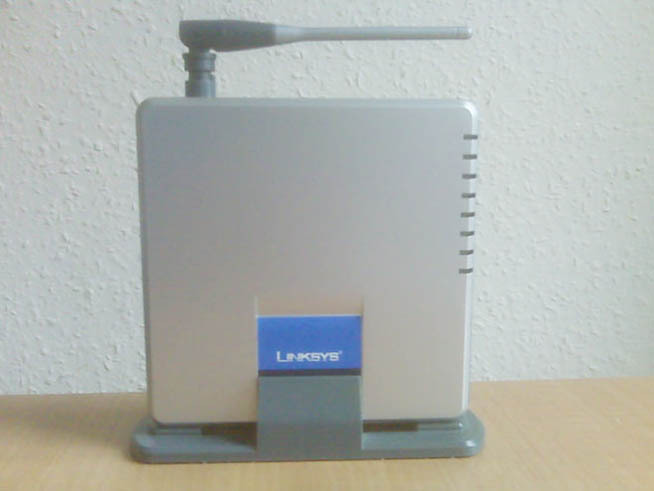 When I used this modem I used with BT broadband and few other providers as well. For me it worked perfectly fine. Yes it will work perfectly fine on 2 floors provided you don’t have some kind of floor insulation which blocks signals. I don’t see Ethernet cable in the picture, but you mentioned it is in the box, could you clarify if Ethernet cable is included int he box or not? Sorry I missed it while taking picture. Yes it is included in the box. Paypal doesn’t offer any protection to sellers. Any hacker can hack paypal account and use it to buy any product over Internet and when they find it out they refund the payment to buyer. Recently there was an article in Metro. 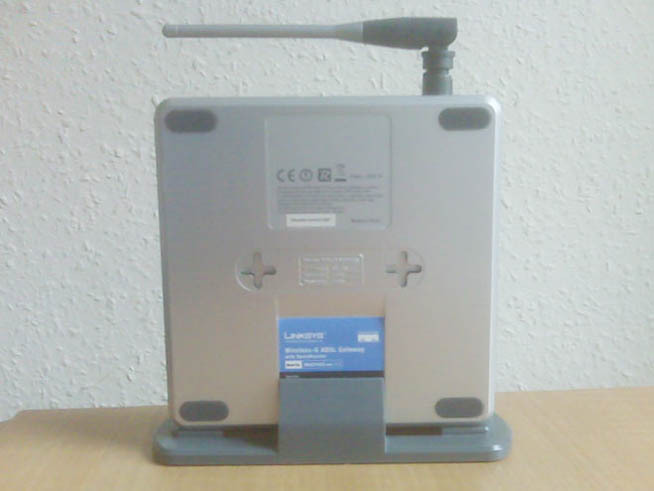 One guy sold a product on eBay and got scammed in this way. So no paypal. If you are in the UK then I see why you can’t pay via BACS? Besides that paypal also deduct commission, BACS is free. Could you deliver in Germany? I can deliver to any part of the world but delivery cost will become more and at the end you will find it cheaper to buy a new modem in your country than buying from me. I’m not sure how much it cost to send to Germany via Royal Mail but it must be about £5-£10 which will make it about £40. I’m sure you can buy a new one in less than this price in Germany. 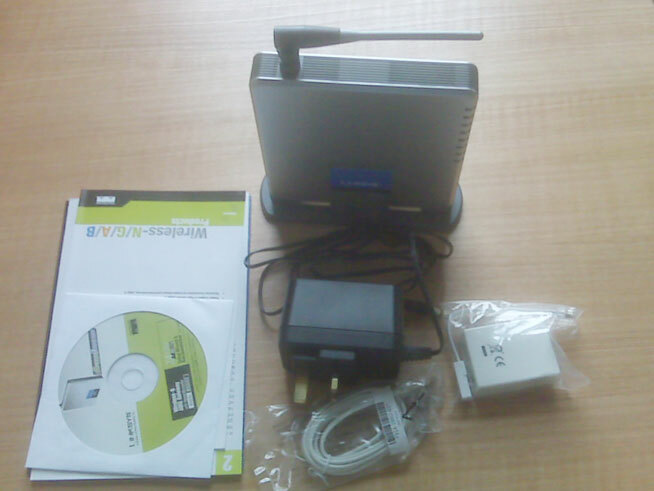 How can configure Linksys WAG54GS Wireless-G ADSL modem as Gateway to be used in our small office? And how many conmputers/laptops it can support? When you configure Linksys WAG54GS in gateway mode and connect to a network then it can serve many computers. you will connect your MS server to the gateway and then you connect rest of computers/laptops to LAN. If you are using WiFi then you can have max 32 wireless devices connected to it. What is the range for WiFi? As per IEEE 802.11g protocol the range is 38m (125ft) indoor and 140m (460ft).